图1 Mutation identification without linkage information,reference sequences and recombination. Genetic screens in which mutants are isolated on the basis of theirphenotypes. The mutations responsible are identified by positional cloning orby a candidate gene approach. A genetic interaction between the two alleles at a locus, such that thephenotype of heterozygotes deviates from the average of the two homozygotes. The proportion of individuals with a specific genotype who manifest thegenotype at the phenotypic level. If the penetrance of an allele is 100%, thenall individuals carrying that allele will express the associated phenotype, andthe genotype is said to be completely penetrant. Pertaining to the point at which an allele (such as a mutation) hascompletely displaced other alleles; that is, the allele is present in ahomozygous state in every individual in the population. Mutations introduced in organisms that are already genetically compromisedfor a pathway or process in order to isolate mutations that either suppress orenhance the effect of the first mutation. (RAD-seq). A DNA sequencing method in which DNA is cut with restrictionenzymes prior to sequencing, which exclusively targets the DNA associated withrestriction sites. Pertaining to the presence of collinear homologous DNA sequences inrelated chromosomal regions. Non-additive interactions between two or more mutations at different loci,such that their combined effect on a phenotype deviates from the sum of theirindividual effects. 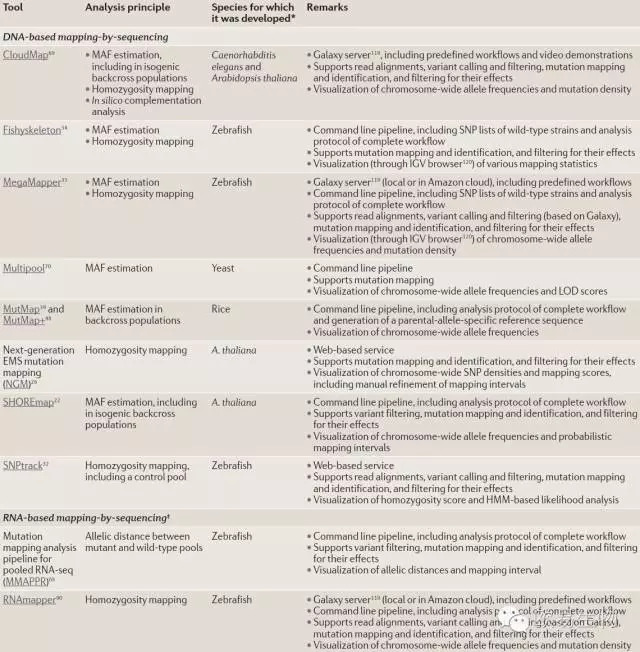 Genetic screens that have reached the point at which no new gene mutationscan be found. M. Livaja, et al. BSTA: a targeted approach combines bulked segregantanalysis with next-generation sequencing and de novo tranome assembly forSNP discovery in sunflower. BMC Genomics.14, 1: 628 (2013). K. J. Nordstrom, et al. 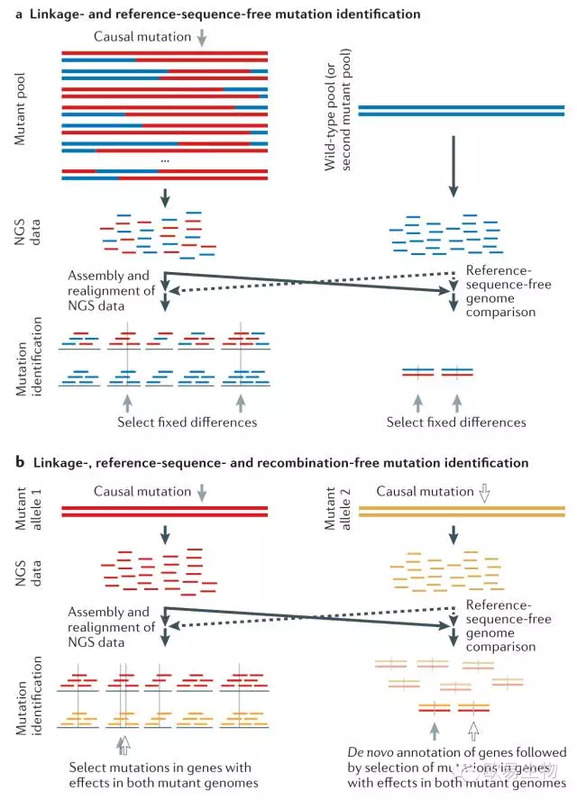 Mutationidentification by direct comparison of whole-genome sequencing data from mutantand wild-type individuals using k-mers. NatBiotechnol. 31, 4: 325-330 (2013).